On globalism, digital security, whistleblowers and more. Led the CIA from 2013 to 2017. 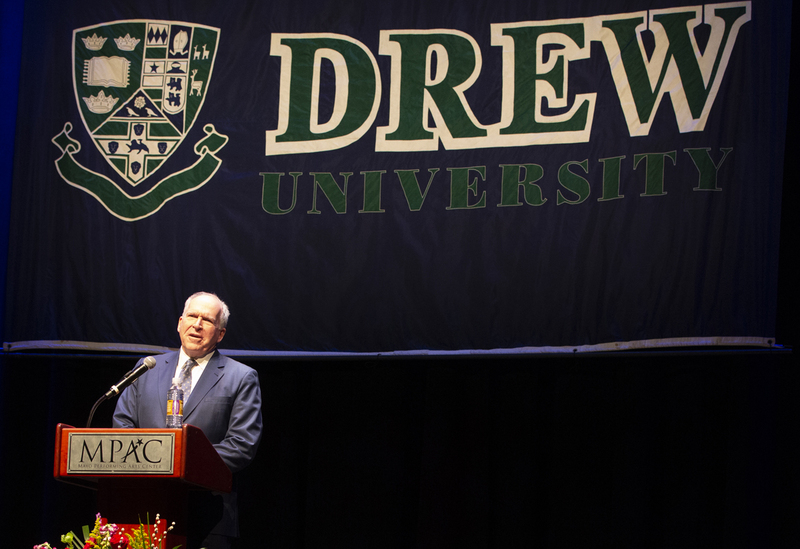 February 2019 – Former CIA Director John Brennan tackled everything from globalism and digital security to climate change, governance and whistleblowing at a Drew Forum. 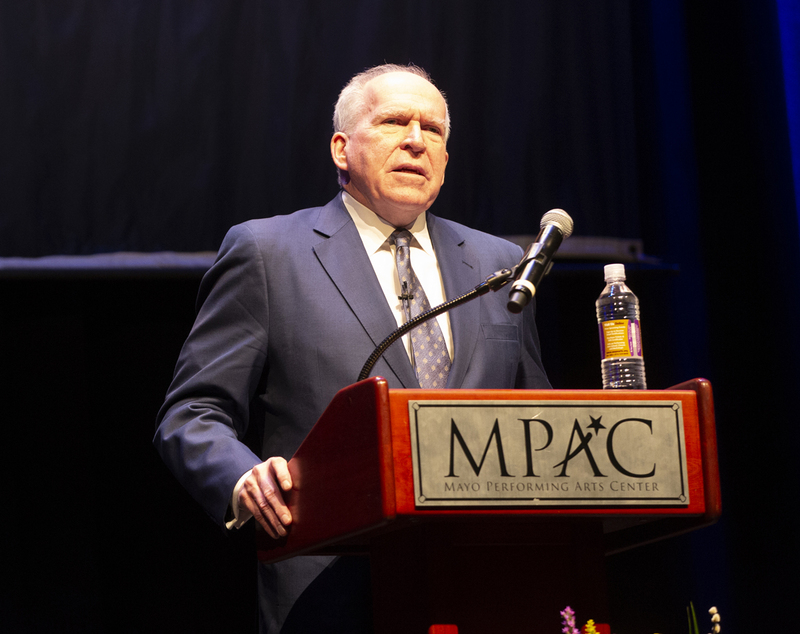 Brennan, who spent 29 years in the CIA and served as director under President Barack Obama, was the guest of the university’s Drew Forum speaker series, which is sponsored by the Blanche and Irving Laurie Foundation and the Thomas H. Kean Visiting Lectureship. The event took place at the Mayo Performing Arts Center in Morristown. Here are Brennan’s takes on four hot-button topics. Wants Congress to create a commission to study cyber security. The digital footprint that individuals create includes not only financial transactions but also personal information—and most of it falls within the domain of private companies. So, how do you protect those individuals from cyber attacks or worse—and what role should the government play? “How are we going to ensure that these mobile devices and digital domains continue to be the engine of growth, prosperity and privacy and not allow the technology to be used by those terrorists, the proliferators, the pedophiles or organized criminals?” Brennan asked. “How are we going to ensure that the government is going to be able to carry out its responsibilities in this highly digitized, highly technical, very fast-paced world?” He had no answer, but suggested that Congress create a bipartisan independent commission of public and private leaders who can thoroughly examine security in the digital world and propose long-term solutions. Next up at Drew Forum? Republican political strategist Ana Navarro, on Feb. 27, followed by former Congressman, governor and GOP presidential candidate John Kasich, on April 9. For more details, please click here and here.